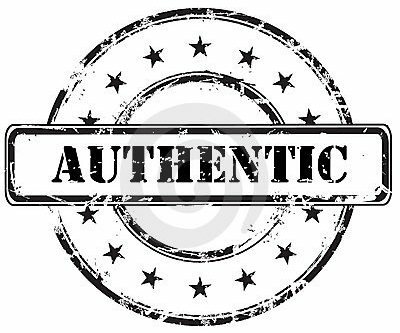 Since I began discerning my call into ministry, one key component that has kept coming up is that of authenticity. There is immense value in being oneself. After all, if we are all beloved children of God, then we cannot and should not deny the existence of some divinely imbued goodness within us. We should be real, for the sake of our own well-being, as well as for the benefit of those we encounter and with whom we develop relationships, whether they last only a few moments or a lifetime. When we put on a mask, a guise as a means to reach a particular end, we do injustice to ourselves, and we dishonor who we are created to be. Furthermore, when we ask others to put on such a mask, we do immense harm to their souls. We might not like or approve of every aspect of a person's character or life, but the call to love them and honor their humanity never ceases. I love the United Methodist Church. After a several-year hiatus from any faith community, I found a new home in my current congregation. I was encouraged to finally answer my call to ministry and attend seminary. I was loved and welcomed into a community that admits its various forms of brokenness and seeks to uplift and affirm the goodness in each other. I've had three pastors who've supported me and some of the challenging decisions I've had to make, one of whom has been an incredible mentor, and I'm honored to call him friend. Pursuing ordination within the UMC leaves me with a perpetually challenging question: how authentic am I truly called to be? As a man who has fought and continues to fight to love himself and honor the person he's been created to be, I'm stuck in a dilemma I knew was coming but hoped would not be this difficult. The cold, hard reality is this: while my home congregation is a reconciling community — meaning it welcomes and affirms the sacred worth of all people regardless of race, class, creed, age, background, belief, sexual orientation, gender identity, economic status, or relationship status — the denomination I unite myself with does not universally share these sentiments. This past Thursday, I met with my district committee on ordained ministry to be certified as a candidate for ordination. I'd not met with them since the fall in which I started seminary. I'd spoken with a few members, as well as some other mentors and colleagues, about my paperwork and how best to present myself and answer questions posed to me. I felt relatively prepared going into the meeting, but there were still some lingering questions on just how true to myself I could be and still be successful my journey towards ordination. How much of my story could I share without raising red flags or self-sabotaging? The reason for my asking these questions lies within the governing policies of the UMC, the Book of Discipline. Within its pages, after affirming the "sacred worth" of all people, it declares that the practice of homosexuality is "incompatible with Christian teaching" and asserts that "self-avowed, practicing homosexuals are not to be certified as candidates, ordained as ministers, or appointed to serve in the United Methodist Church." In a denomination whose membership spans numerous countries and various cultural contexts, it's not surprising that there is disagreement on the above statements. In several annual conferences (or regional districts), it's fairly common knowledge that someone who falls into this category can fail to disclose the truth of their identity, lay low, and successfully traverse the ordination journey. Long story short, for an out gay person who is partnered, becoming ordained in the denomination requires being professionally closeted. It means not speaking about their true self or their relationship in what's often called official space. It means hiding and often allowing oneself to be implicitly heterosexual. My frustration rests with my desire to be a part of this denomination, primarily because of the good I see it as capable of doing. United Methodists are some of the best people I know. For many of them, living out the Christian faith is not simply about evangelizing or "saving souls." Within them is an understanding that this life is not merely a stepping stone on the way to heaven or hell. This earth is not simply a way station. There is real pain, brokenness, suffering and injustice here, and as people who seek to live out the message of the Gospel and live like Christ, we are called to be agents of change, people through whom God's redemptive power flows for the purpose of helping others find lives that are truly abundant and not merely bearable. I love my denomination, and while there are people within it who love me and affirm the fullness of who I am, my denomination is a system that suffers from the same brokenness that many other systems face. On Thursday, I was certified as a candidate for ordination. There were positive affirmations given, and there were good suggestions for growth. Unfortunately (and painfully), it was implied that even referring to my partner as my "significant other," leaving out any gender markers, could and most likely would hinder me from becoming ordained. I felt as if I was being told to keep my head down and my mouth shut about who I really am, and if I do that — if I put myself through several years of verbally rejecting, or at least neglecting being honest about the amazing love I've found with the man I love — then I stand a chance of being ordained and given credentials by the denomination. I left that meeting, not feeling the joy of having completed another milestone, but instead feeling dejected and rejected, silenced. I felt rage that people who clearly see an injustice yet choose to place the dictums of the denomination over the well-being of someone who clearly exhibits graces, gifts, and fruits for ministry. I felt physically ill thinking about 4+ years of being what for me would be dishonest and lacking integrity. I spent much of my therapy session this morning crying, feeling the anguish of going back into a sort of closet. I felt dishonored. I did not feel as if I had sacred worth. Blake told me today that opting to continue in the process as suggested would be a form of emotional masochism and quite possibly detrimental to my mental health. I have a year until my next meeting with the committee. While I truly feel called to ordained ministry, I fear that goal will not be reached in the denomination I've come to know and love. There is time to decide, to think, to discern. This I know: I cannot and will not do dishonor to myself. I hope and pray that we can all feel loved and valued, and this means being authentic and honoring the beloved children of God we all are.